JU’s School of Orthodontics, already attracting some of the brightest minds from across the globe to one of the country’s largest Orthodontics advanced certification programs, is adding a Master of Science in Dentistry that will make its curriculum among the most valued for professionals seeking to advance their careers and credentials. Currently, the school, part of the Brooks Rehabilitation College of Healthcare Sciences, offers the elite Advanced Specialty Education Program in Orthodontics and Dentofacial Orthopedics. The 24-month program allows dental professionals to earn a Certificate of Advanced Graduate Studies (C.A.G.S) in order to become orthodontic specialists. 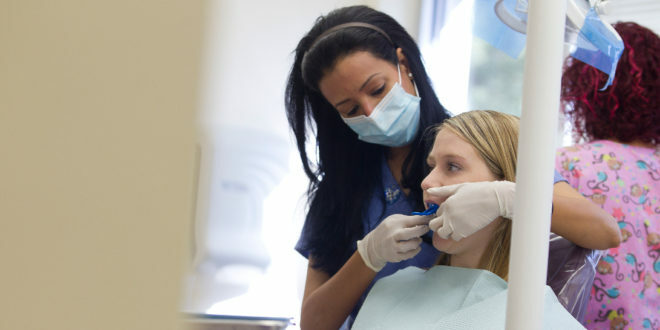 Starting in July, a new 27-month program will combine the C.A.G.S., which includes full-time academic, clinical and research components, with an MS in Dentistry, which requires an additional semester for students to complete advanced research and a thesis. The new degree, which already has full ADA accreditation and is pending approval of the Southern Association of Colleges and Schools Commission on Colleges (SACSCOC), is expected to enhance the appeal of the school to future students, who complete the program in 15-member cohorts. It will also allow for further community service initiatives, and build on the school’s already impressive four-year, 100 percent pass rate on the American Board of Orthodontics written exam, leading JU Ortho to have a nationally unparalleled post-graduation full board certification rate. To accommodate the new offerings, additional full-time faculty are being recruited, facilities are being renovated and space restructured to add new space for research labs and study areas. JU’s School of Orthodontics provides free screenings to more than 2,000 patients annually and provides effective and affordable treatment to an average of 1,000 new patients each year, including children in the “Small Smiles” program which offers free care to foster and disadvantaged children. Click here for more information about and to apply to the new Master of Science in Dentistry program at Jacksonville University.